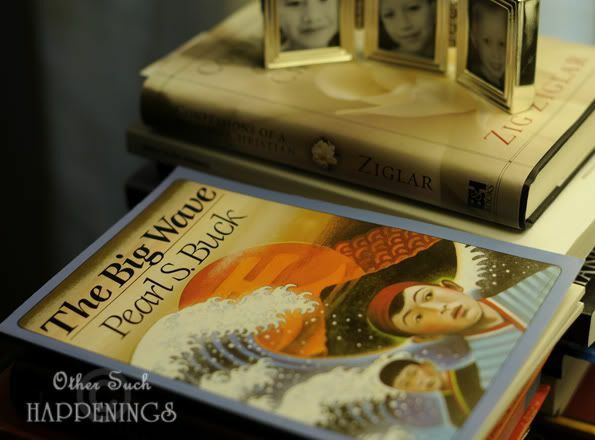 In The Big Wave by Pearl S. Buck, Kino is a young Japanese boy that asks his father about death. His father tells him that death is the great gateway. "The gateway-- where?" Kino asked. Kino's father smiled. "Can you remember when you were born?" Kino shook his head. "I was too small." Kino's father laughed. "I remember very well. Oh, how hard you thought it was to be born! You cried and you screamed." "Didn't I want to be born?" Kino asked. This was very interesting to him. "You did not," his father told him smiling. "You wanted to stay just where you were in the warm, dark house of the unborn. But the time came to be born, and the gate of life opened." "Did I know it was the gate of life?" Kino asked. "You did not know anything about it and so you were afraid of it," his father replied. "But see how foolish you were! Here we were waiting for you, your parents, already loving you and eager to welcome you. And you have been very happy, haven't you?" "Until the big wave came," Kino replied. 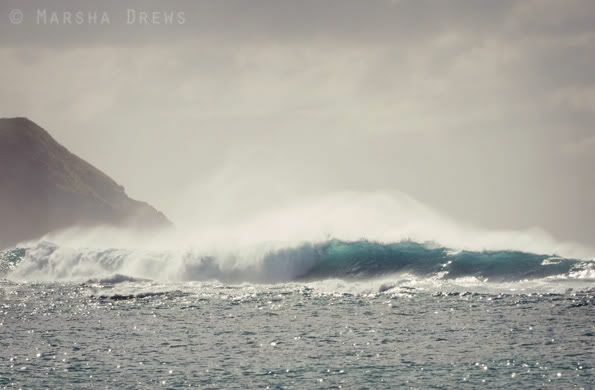 "Now I am afraid again because of the death that the big wave brought." "You are only afraid because you don't know anything about death," his father replied. "But someday you will wonder why you were afraid, even as today you wonder why you feared to be born." Death is indeed a doorway. The doorway that leads to our REAL life, the one that will last, the one that will matter! I am not afraid of the dying itself. I only fear for David, Austin and Noah being here without me. Imagining their heartache, questioning, uncertainty, anger, and long lasting sorrow.... that is what I fear. I fear for them. And then I realize my pride. Is God only MY God? Does He only guide, lead and comfort ME? How foolish my thoughts and fears are! I don't plan on checking out anytime soon, but if God call me home soon, I know that He will comfort and care for my family. The devil uses fear to paralyze me into inaction and distract me from the finish line. Every marathon is won by just taking one step at a time. I don't know about you, but I plan on running to the finish line! I am not going to quit serving God because I am tired and weary and longing for REST. The daily battling of thoughts, the daily missing of a part of my flesh exhausts me. But it will make rest in my Saviour that much sweeter. It would be horrible to look back on my life and see that I quit, gave up on God and this race set before me, just because I cannot see what is beyond this bend in the road. What if I quit, only to find out I was a few strides short of the finish line? All I can SEE is the very next step that God lights for me. All I can DO is take it. Choose FAITH over fear! Don't let fear stop you or distract you from what God is telling you to do. CHOOSE to trust God and take the next step that He has lighted before you. It will lead you closer to Him, closer to rest, closer to the finish line. You nailed it. Completely. I really struggle with fear. Thank you for sharing, I SO needed this. I love you! I've always struggled with the same fear you mentioned. Then when we talked about it and you brought up the point of God being THEIR God too, not just mine, I've been able to deal better. I love you! This really puts things in perspective. Thanks for sharing this. I've never been afraid of dying... but just the other nite I was thinking about if I died... leaving Isaiah here without me... was too much for me! thank you for writing what you do... it always touches me! Well today God revealed why through this blog. Our good friends are sitting by through faith and the strength of the Lord watching their precious little boy die. every time I see them I struggle with the right words and wonder, "was that dumb, did I just hurt their feelings, am I helping at all, etc." but this blog was perfect. it lifted me up and reminded me of God's strength. My job is hugs and delivering dinner, God is/will take care of their hearts. I just need to be there to love them. He is all they need. Thank you SO much for that, Marsha! I am coming up on the age where my own mother died, and it has hit me really hard. I think of how devastated I was, and I start to panic because I don't want my kids to go through that deep sorrow...but you are right. You share so beautifully Marsha. I love how you wrote this. Love it so much. Thank you for sharing. Thank you Marsha for this beautifully written devotion. You are a great friend and an encouraging saint of God! Keep it up for the glory of God!